The Cunderdin Public Library offers the residents of Cunderdin, Meckering and Surrounding Towns a range of books, DVD's and AudioBooks to borrow. The Library is free to join, if you live within the Cunderdin Shire or in some of the Local Towns. Once a member you can borrow up to 6 items for 2 weeks. As a member you also have access to our Inter Loan system, which allows us to request library items from other Libraries. We can request almost anything through the State Library and other Libraries throughout WA. The minimum waiting time is 2 weeks and the time limit to borrow varies depending on the Library and the item. Every month we get an exchange of Library items where the State Library sends us crates of around 90 items to add into our Library and then we send back old Library stock. This allows us to always have a range of items coming into our Library. We also have a section in our Library for donated books where you can buy books for a small donation to the Library. You can also donate any unwanted books that you have at home. ​BorrowBox - your library in one app - is unique because it enables members of public libraries to download and borrow eBooks and eAudiobooks via digital loans. BorrowBox is the only app of its kind in the world with an inbuilt eBook reader and eAudiobook player. Elegant, intuitive and simple to operate and enjoy, BorrowBox can be used online and with Apple iOS and Google Android devices. Download eBooks directly from the link or from the BorrowBox app. WA public library and State Library members can borrow and read or download thousands of ebooks. ​Sign in with your library card to enjoy digital books on your computer, tablet, smartphone, or ebook reader anytime, anywhere. ​To sign in you will need to be added onto the system and be issued with a pin, so please contact Cunderdin Public Library if you wish to gain access, so that we can add your library membership number and create a pin for you . ​OverDrive enables Public Library and State Library members to browse and borrow bestselling eBooks and eAudiobooks on their computer or mobile device for limited periods through digital loans. 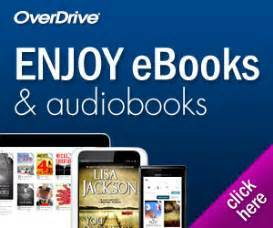 OverDrive is a FREE download solution. Once you are signed in you can borrow up to 10 titles and reserve up to 5 titles. ​rbdigital: the premium digital magazine collection is now available to all library members. This collection of eMagazines includes popular titles such as Delicious, Donna Hay, Elle, Gardening Australia, The Economist, Vogue and many more. Download the eMagazines to your PC, laptop or mobile device to enjoy at your leisure.